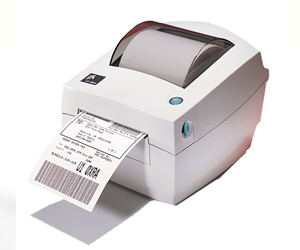 The thermal transfer TLP 2844 bar code label printer is ideal for applications requiring a space saving, desktop-size, 4.09" (104 mm) printer. 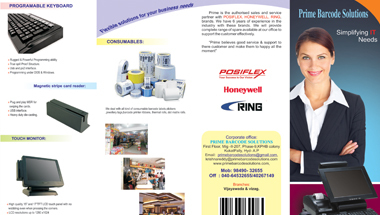 This user-friendly printer delivers optimal performance in today's on-demand desktop labeling applications. The TLP 2844 has a sturdy construction with a double-walled ABS casing. 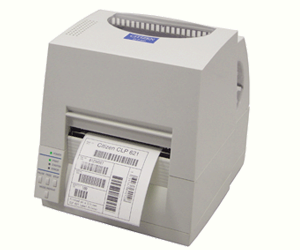 The powerful CLP-621 label printers offers unparalleled versatility in the desktop thermal printer class. Able to print in both direct thermal and thermal transfer mode the CLP-621 features a 360-meter ribbon for greater productivity and reduced down-time. Citizen's unique metal Hi-Lift™ mechanism allows easy access for loading of media and/or ribbons and the adjustable media sensor can handle a wide variety of label configurations including standard and pediatric medical wristbands. The powerful on-board 32 Bit RISC processor delivers exceptional throughput and fast first label out. The CLP-621 comes standard with internal parallel, serial, and USB interfaces. available. 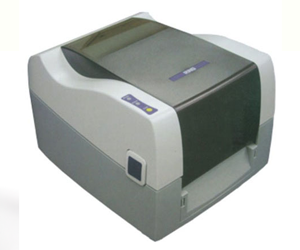 The dynamic and robust Citizen CLP-8301 thermal transfer printer features high performance 300 dpi resolution at 4 inches per second throughput speed. Roll fed (up to 8 inches), continuous or fan fold media may be printed at widths up to 8.6 inches. 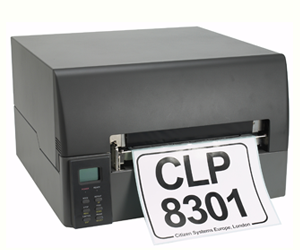 The Citizen CLP-8301 can also print on 6 inch media for those narrower application requirements. The heavy duty metal case provides durability and user friendly quick loading of label media and ribbons (wax, wax/resin or resin). For extended compatibility, the CLP-8301 printer features Datamax industry standard emulations along with Citizen's own powerful command language to allow users to take advantage of the extra functionality of this high resolution printer.The Citizen CLP-8301 features a unique modular design that is flexible and expandable allowing for a wide range of interfaces and accessories. Standard interfaces include a parallel and serial port (up to 115Kbps), optional 1284 parallel and universal serial bus. The optional PCMCIA card allows the printer to be used in stand alone unique applications. Therefore, the user can load keyboard or personal computer. Solid, tough structure allows printer use in severe operating environments. Prints out on 8-inch wide paper but the design still saves space. Front-mounted LCD panel for easy key operation. Simple design means easier maintenance. Full-open mechanism for easy paper-loading. 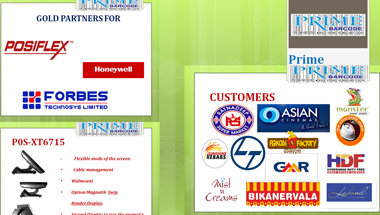 Equipped with a wide variety of interfaces to fit in variious environments. 300dpi print resolution at up to 4inch per second.